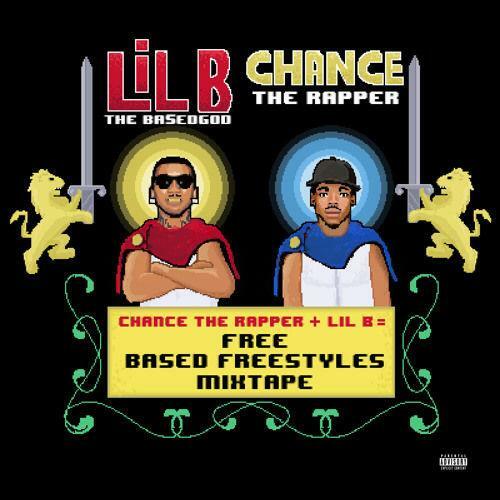 Chance The Rapper and Lil B the Based God drop their joint mixtape. Recently, Chance The Rapper confirmed that the reports of a joint mixtape with Lil B were indeed real and it was actually happening. Around a month later, the mixtape has arrived. In true Based God fashion, the mixtape is titled Free Based Freestyles Mixtape. The short project contains six collaborative songs from Chance and Lil B. In an interview with Bootleg Kev, Chance had referred to the project as a "masterpiece" and "classic." Do you agree? Check it out and let us know your initial thoughts. Give your daily thanks to the Based God for such an amazing gift.